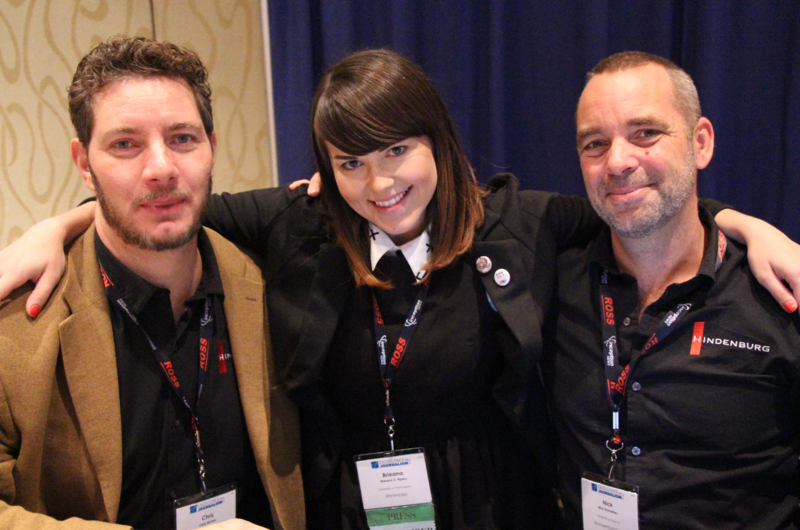 Brie Ripley cannot believe she met Chris Mottes (left) and Nick Dunkerley (right) of Hindenburg Audio. As an audio journalist, Ripley was ecstatic. 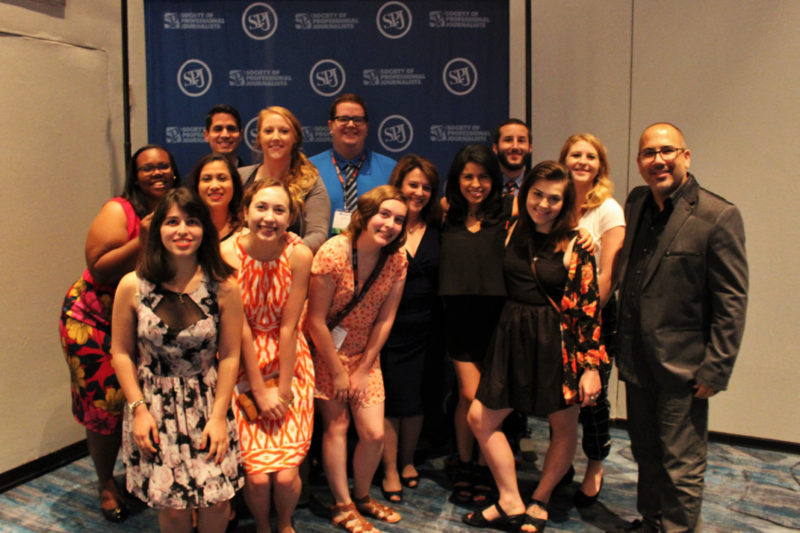 This year, the Society of Professional Journalists’ (SPJ) Excellence in Journalism Conference took place in Orlando, Florida for three jam-packed days of workshops, panels, and story creation. Senior Brie Ripley recounts her time at the conference and offers advice for students interested in attending next year’s event. How did you get chosen to go to SPJ’s Excellence in Journalism Conference? “A typical day started at 7 a.m. I’d get up, grab a granola bar, chug some water, iron my pants, then head downstairs from my hotel room to get a good seat in our team check-in and pitch meeting. We met every morning at 8:15 a.m. in our designated conference room (aka our qazi news bureau) at the Orlando World Center Marriott. After we pitched a few story ideas, we all split up to go gather stories. Each day we were given one of three primary responsibilities — social media, visuals, or writing. If I was given the responsibility of social media for the day, it would be my job to update the EIJ News Twitter or Instagram the entire day in addition to writing and producing the stories I pitched. The 2015 EIJ News team. What were three things you learned there? What lessons did you bring back that you can use in your classes/job here in Seattle? Any suggestions for students that want to be a part of this conference in the future?